Product information "Silver Polish 150ml - Elsterglanz"
Jewel baths may be very useful, but they're also very tiny. Usually, only small chains, pendants and ear rings fit into these small jewel baths. With Elsterglanz Silver Polish the size your silver piece does not matter! Large or small - this polishing paste shines and conserves everything! The special feature of this very gentle polishing paste is that it produces a water repellent and preserving coat on the silver. It provides a long-lasting protection that prevents your silver from tarnishing and soiling again. • Elsterglanz Silver Polish is suitable for cleaning anything made of silver: tableware, jewellery, cutlery, trophies, medals, decorative cups, chandeliers, pitchers etc. • Elsterglanz Silver Polish is acid-free, does not corrode and is gentle to the material. • Apply Elsterglanz Silver Polish with a cloth or rag and remove all dirt. Polish with a soft cloth. Not suitable for lackered and anodised surfaces. 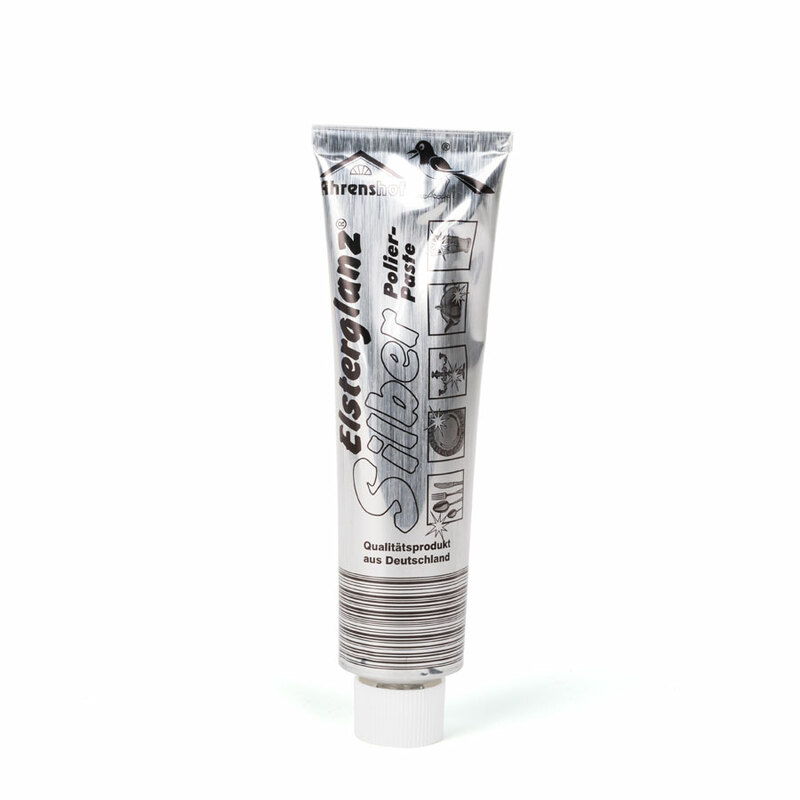 Related links to "Silver Polish 150ml - Elsterglanz"
Customer review for "Silver Polish 150ml - Elsterglanz"
Ich habe diese Paste für größere Flächen im Gebrauch.